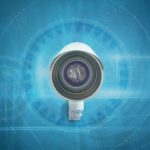 As a large commercial property owner, you understand how the appearance of your entrance can affect foot traffic and profits. Clean entrances make your building look professional, which helps attract customers and more tenants for your building. Keeping your area clear of debris also helps protect your property from sewer system issues that can lead to major expenses. 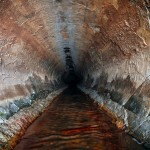 Main sewer lines transport sewage and other debris, but when too much waste enters lines, it can easily lead to a backup that may cause significant damage to your building. They also present a substantial health hazard to all tenants and customers. Sewage backups will force you to cease operations until the damage has been repaired and the affected areas are cleaned and disinfected. Unfortunately, repair costs can skyrocket, especially if numerous areas were affected. The fact that you lose several days of profits can hurt your bottom line even more. The best way to avoid this problem is to keep your property clean and clear of debris. 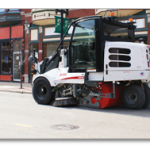 Property owners and managers should take advantage of street sweeper rental services to do just that. 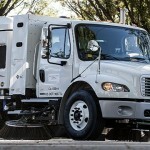 Renting a street sweeper is more affordable than purchasing one outright. This is especially true if you only plan to use the machine once or twice a month. Second, you do not need to worry about maintenance costs for the machine. 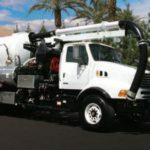 Maintenance, such as repairs and sourcing Vactor truck parts, is the responsibility of the company from which you are renting. Working with a trusted company, like Haaker Equipment Company, assures you that the rental sweepers are in working order when you receive them. Want to Extend the Life of Your Nozzles?